Handcrafted and made to order, this lanyard is a perfect opportunity to show off your boho style while at work or play! A little bit hippie and a whole lot of playful, this badge holder is sure to bring a smile to your face. 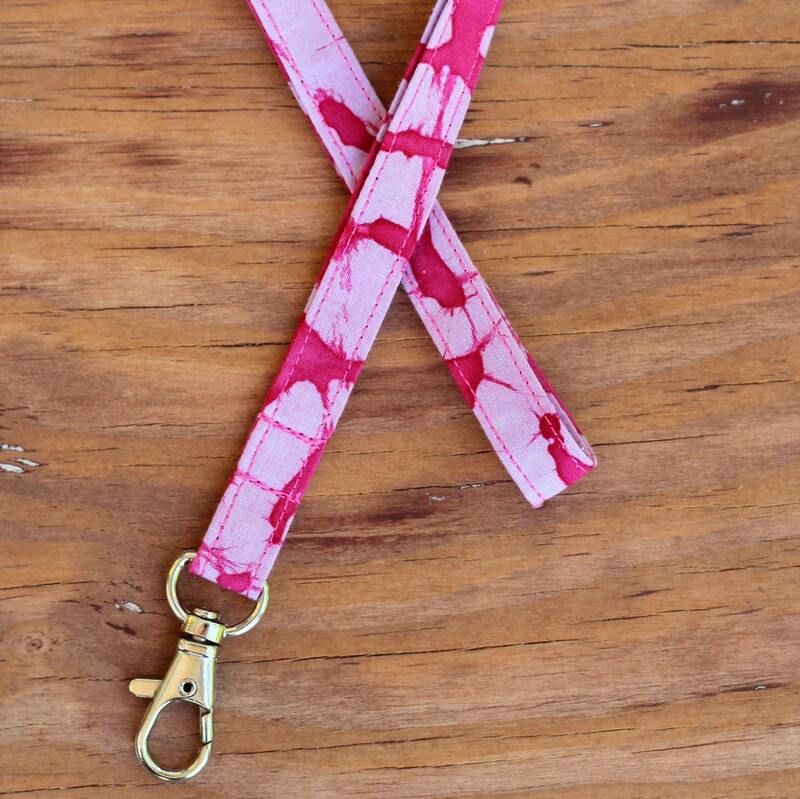 The lanyard measures 19" from back of neck to clasp. If you'd like it longer or shorter just add a note when making your purchase. Crafted from light and dark pink batik cotton. 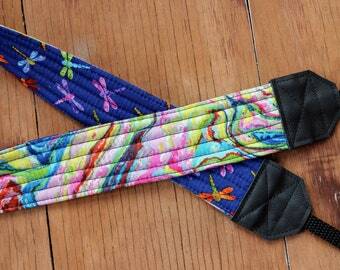 The cotton strap measures 19" by .65", with a clasp attached.